Yes, the Steers Whacky Wednesday promotion is still going strong! For many years now, Steers has been making my Wednesday something to look forward to with their “Whacky Wednesday” promotion which is a “buy one burger and get one free” deal and although the price has crept up over the years, it is still excellent value. Steers is SA’s leading burger brand and has been serving South Africans 100% pure beef, flame-grilled burgers and freshly cut chips for almost 50 years. Steers has more than 525 outlets in operation. Of these 36 are in other African countries such as Nigeria, Mauritius and Zambia. There are also 7 outlets in non-African countries. 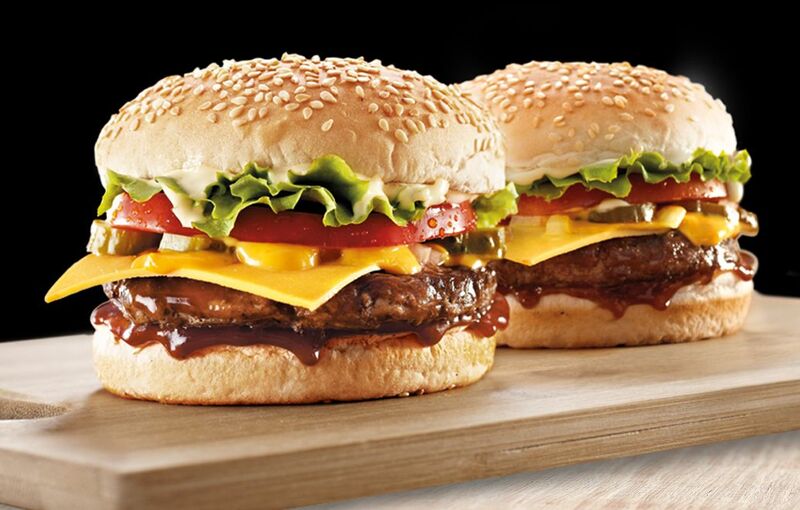 Steers makes it’s mark by providing an excellent range of flame-grilled and value-for-money hamburgers. Steers has won the Leisure Options Award for the Best Burger for 18 years running, and Best Chips for 14 years running. Steers’ burger range consists of beef and chicken burgers (10% of the menu), all prepared in Steers’ flame-grilled style. There are also several options for vegetarians. Visit the Steers website, where you can find the closest outlet, see the specials, or browse the menu. Need Steers in a hurry! It is possible to use your phone, tablet or computer to find a restaurant and place your order online. You can then collect from the store or have it delivered. TAKE NOTE though that this service IS ONLY AVAILABLE in some locations. Steers as we know it is today is part of Famous Brands Group Ltd (previously called Steers Holdings Ltd) which traces its origins to founder George Halamandres who, following a visit to the United States in the 1950’s, returned to South Africa to introduce the steakhouse and franchise concepts to this country. For a fascinating look at how this happened, visit the Wikipedia entry. The Franchising Division of Famous Brands comprises about 24 different brands/divisions including Steers, Wimpy, Debonairs Pizza, FishAways, House of Coffees, and Mugg&Bean. Famous Brands listed on the JSE in 1994. Posted in Restaurant and tagged flame grilled burgers, food, franchise, special offers.